Drastic measures, including the strengthening of the Wildlife Protection Act, have enabled the Kenyan government to reduce rhino and elephant poaching by 80 %. Cited as an example for the protection of wildlife, the country intends to move up a gear by introducing the death sentence, to put a final stop to the illegal trafficking of animals. According to the latest official information, 9 rhinos and 60 elephants were killed by poachers in 2017 in Kenya. The figures are twice as low as the previous year, with 14 and 96 deaths respectively. It is a very sharp drop from the catastrophic results of 2012, when Kenya recorded more than 30 rhinos and 384 elephants killed. Overall, poaching has dropped by 80% compared to that period. According to the Kenyan Ministry of Environment, poaching of rhinos has decreased by 85% while elephant poaching has decreased by 78% between 2013 and 2017. However, this improvement in the trend is no coincidence. The East African country, whose wildlife is the backbone of the economy (through tourism), has taken strict measures against the illegal killing and trade of protected species. 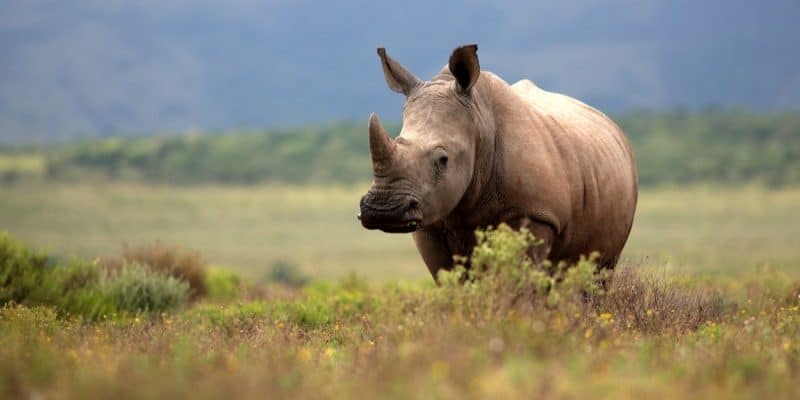 Faced with the alarming increase in the killing of wildlife species, including rhinos (1000 animals) and elephants (34,000 individuals), listed as vulnerable by the International Union for Conservation of Nature (IUCN), the government has not stood idly by. In 2014, the then Minister of Environment, Judi Wakhungu, obtained from Parliament a strengthening of the law on the protection of protected species. This includes a record fine of 20 million Kenyan shillings, or nearly 170,000 euros, and a life sentence. A well-known ivory trafficker was sentenced to 20 years in prison in 2016, for example. “Beyond the repressive aspect, we have developed ways to further protect wildlife. We have grouped the actions of the various wildlife protection agencies and the police. We have also strengthened the teams of rangers and their dogs who do an extraordinary job. We monitored the entry and exit points to and from the reserves. This was and still is a major concern in Kenya,” said the former Kenyan Minister of Environment, now Kenya’s Ambassador to France. In Kenya, 5 years after the draconian measures against massacres and trafficking of endangered animals were taken, the situation has certainly improved, but still prevails. This is why Najib Balala, the new Minister of the Environment, wishes to go further by calling for the introduction of the death penalty for poachers, arguing that “the law is not dissuasive enough and does not stop poachers”, hence his proposal for a more severe penalty. Yet, even without this extreme tightening of the law, Kenya is already seen as a model in Africa in the fight against poaching. On the continent, wildlife trafficking is the third largest illegal trade. An environmental crime that undermines tourism activity, and costs African countries more than 70 billion dollars each year in terms of relatively flexible anti-poaching laws. Maximum prison sentences for wildlife trafficking are 5 years in Congo, 3 years in Cameroon, and up to 10 years in Benin. In Gabon, where the maximum penalty is 6 months, a total of 371 kg of ivory and 31 panther skins were seized by the authorities in 2017.